4K resolution, also called 4K, refers to a display device or content having horizontal resolution on the order of 4,000 pixels. Several 4K resolutions exist in the fields of digital television and digital cinematography. In the movie projection industry, Digital Cinema Initiatives (DCI) is the dominant 4K standard. 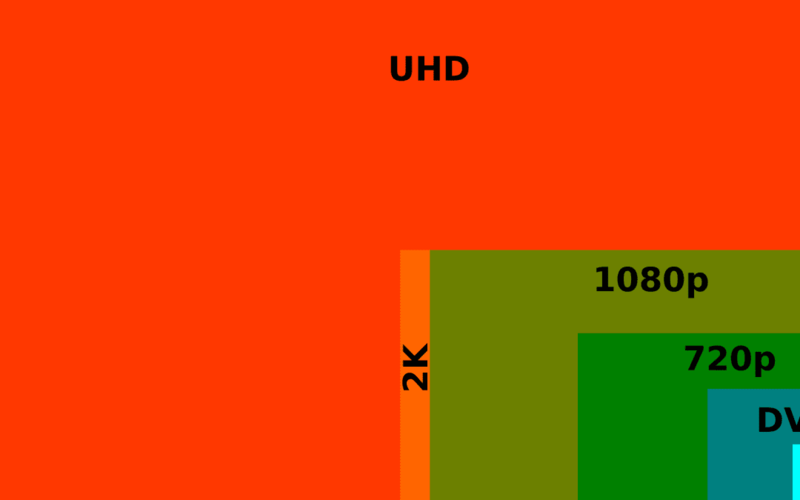 DCI 4K should not be confused with ultra-high-definition television (UHDTV) AKA “UHD-1”, which has a resolution of 3840 x 2160 (16:9, or approximately a 1.78:1 aspect ratio). Many manufacturers may advertise their products as UHD 4K, or simply 4K, when the term 4K is traditionally reserved for the cinematic, DCI resolution. This often causes great confusion among consumers.